The Lifestyle Hub: "Metro Manila" up for Best Film Not in the English Language at the "British Oscars"
"Metro Manila" up for Best Film Not in the English Language at the "British Oscars"
The British Academy of Film (and Television) Awards or the BAFTAs, the British equivalent of the Oscars, cited "Metro Manila" as one of the nominees in the Best Film Not in the English Language category. The movie stars Filipino actors Jake Macapagal, Althea Vega and John Arcilla and shot entirely in the Philippines but is created and produced by UK-based studio Chocolate Frog Films. Nominated in the same category is the Dutch- Norwegian documentary film "The Act of Killing", French critically-acclaimed movie "Blue is the Warmest Colour", Cannes Film Festival favorite and Italian production "The Great Beauty", and the Saudi Arabia- German movie "Wadjda". The winner of the cinematic battle is set to be announced at the Royal Opera House in London on February 16, 2014. Metro Manila is considered to be the favorite to win the award having won Best British Independent Film at the British Independent Film Awards. It also won Best Director for English director Sean Ellis and Best Achievement in Production. John Arcilla was also nominated for Best Supporting Actor alongside Jake Macapagal for Most Promising Newcomer in the same award-giving body. The biggest boost for Metro Manila though is winning the Audience Award for World Cinematic Dramatic category at the 2013 Sundance Film Festival held in Utah, USA. The movie also scored the highest rating amongst the 5 categories from film critique aggregator Rotten Tomatoes which gave Metro Manila the perfect score of 100%. Critic Mary Ann Johnson of Flick Filosopher described the film as "One of the most enrapturing experiences I've had at the movies in 2013: fiercely, grandly humanist, and almost unbearably tragic." Damon Wise of the Empire Magazine also referred to the film as "terrific work" by Ellis which balances "the disparate elements of his crime-laced drama." "The Act of Killing", on the other hand, managed to pull a 95% rating from Rotten Tomatoes while "Blue is the Warmest Colour" collected a 90% rating average so far. "The Great Beauty" scored 93% while "Wadjda" averaged 99%. 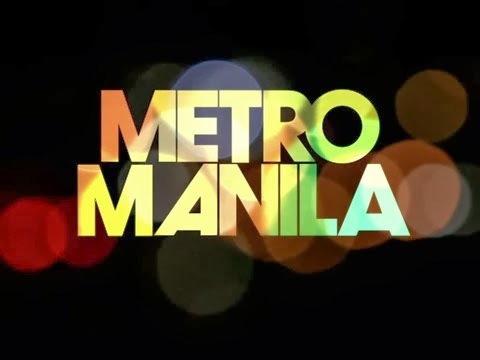 Metro Manila had its international premiere in the 2013 Sundance film Festival on January 20, 2013 and was also released in France on July 17, 2013. The Philippine premiere was on October 9, 2013 after being shown to the public in Belgium, the Netherlands, and the UK. Meanwhile, leading the nominations at the BAFTAs is science-fiction Thriller "Gravity" which scored 11 nods including Best Film, Best Director for Alfonso Cuaron, Best Actress for Sandra Bullock, Best Original Screenplay and Best Cinematography. "American Hustle" and "12 Years A Slave" both got 10 nominations each as both acclaimed movies are gunning for Best Film and Best Direction. "Captain Phillips" and "Philomena" complete the Best Film nominees.